Several months ago I was looking for a painted sideboard for one of my clients and I came across an amazing website called Lauren Lane Decor. I was immediately drawn to their unique furniture pieces and knew I had to find out more. How lucky was I to find out that they were opening a studio only a short drive away in Calgary! What is Lauren Lane Décor? 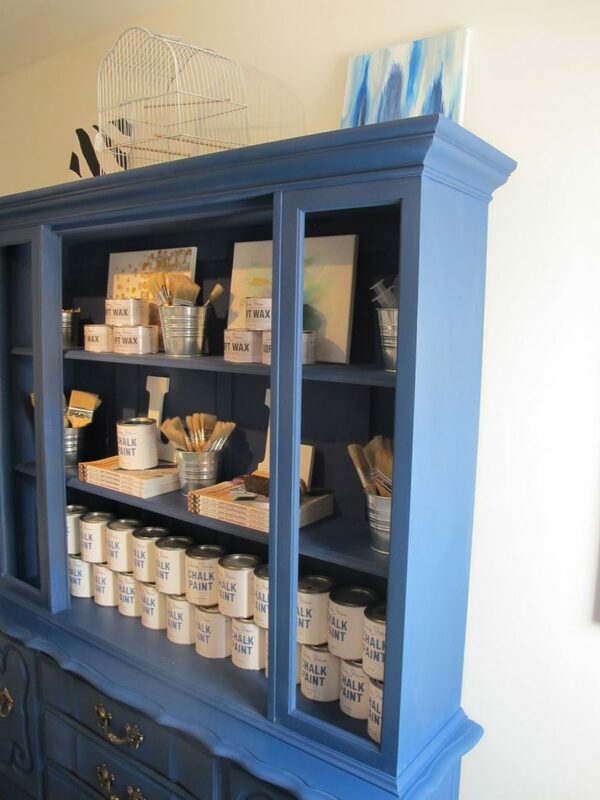 Lauren Lane Decor is my studio in Calgary that offers custom furniture refinishing, an array of refinishing classes and Annie Sloan Chalk Paint. It’s also the love of my life! I get asked this all the time! Lauren is my middle name and Lane is my grandmothers! You just recently opened your studio and made this your full time career, leaving behind the accounting world. Can you tell us about your journey? My journey has been short. In the past year I have gone from spending all my time in the garage to opening a studio and now presenting at the Calgary Home Show. They say if you do what you love, it doesn’t feel like work! So I did and I have no regrets! What characteristics do you look for when sourcing furniture pieces? Good lines, sturdy and pretty details! Everything looks better with a coat of paint! What kind of paint do you work with and why do you use it? I still use latex and stains for certain pieces but also use alot of Annie Sloan Chalk Paint. 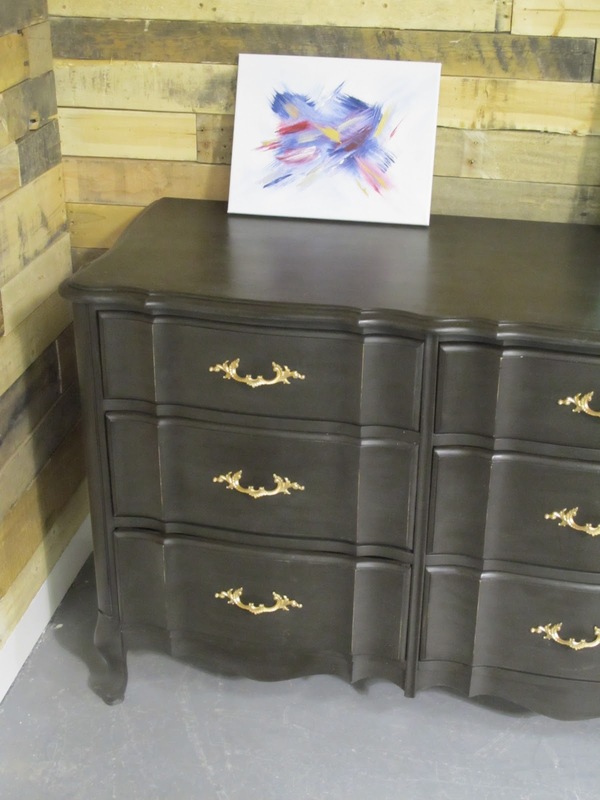 I use latex for the benefit of custom colors and Annie Sloan’s Chalk paint for the ease! What colors do you and/or your clients like the most? I am not partial to any color in particular- really! 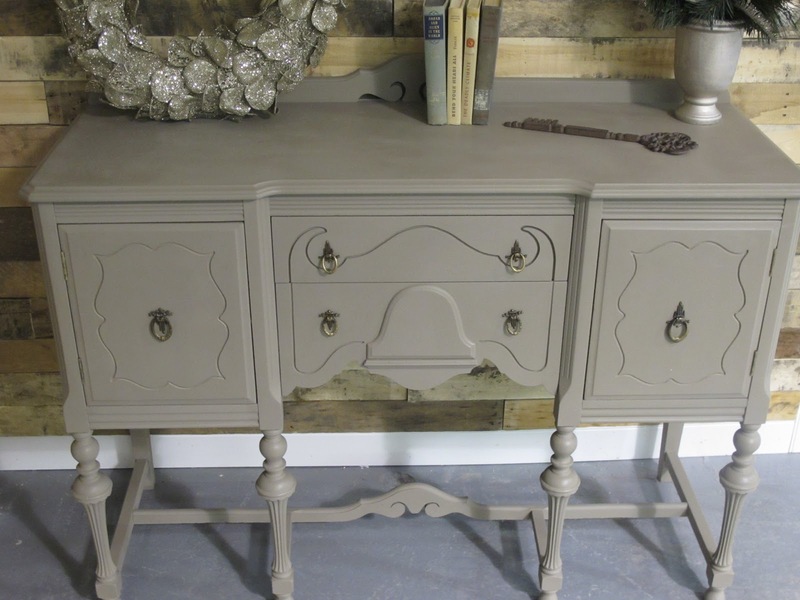 When using Annie Sloan’s paint, Paris Grey, Old White, and Duck Egg blue are popular choices! Is the paint available for purchase? Absolutely! I retail all of Annie Sloans products and also my own line of paint brushes and accessories that will help the DIY-ers complete a project on their own! What advice do you have for someone wanting to refinish a piece of furniture? Start small and invest in the proper products and tools! When you use quality tools and products, you achieve quality results. What do you find the most challenging about having your own business? Balance! Because it’s what I love to do – I could paint and work 18 hours a day! It’s hard for me to put the paint brush down and take time out for myself! My work is rewarding in so many ways! I love reinventing furniture and showing people that you can take something from drab to fab! Look for Lauren Lane Decor’s booth at the Calgary and Edmonton Home & Garden Show and check out my 2 daily presentations on the main stage! Tara is generously giving away enrolment to one of her upcoming paint classes- a $250 value! Say what? Before she changes her mind, enter as many times as you’re allowed! Class dates are available for Edmonton, Lethbridge and Calgary. Visit Lauren Lane Decor Paint Boutique and come back and leave a comment below about which Annie Sloan paint color is your favorite. Become a fan of Lauren Lane Decor on Facebook and let us know you did back here in the comments. Your information is kept strictly confidential and is used for award purposes only. Open to residents of Canada and US (although you must be able to attend a class- cannot be substituted for paint or other items). Contest closes Thursday, January 26 at 8 pm MST. Winner will be announced on Friday, January 27. If winner does not claim within 48 hours, another name is randomly selected. Beautiful pieces! Too bad I don’t live close! I really like Provence, but I’m drawn to Duck Egg as well. Too many choices! What a wonderful feature and giveaway! Good luck to all that enter! I wish I lived closer. My favorite is duck egg blue! I have taken the first class and once I have my baby (and get back some energy) I have a few projects waiting for me. I would love to win this to take her advanced class to get me started on those projects. I have liked the facebook page and shared this link!!! Thanks Shauna for sharing Lauren Lane previously as that is how I found out about the first course I took! Glad to hear you took one of the courses already. I’m sure you loved Tara. 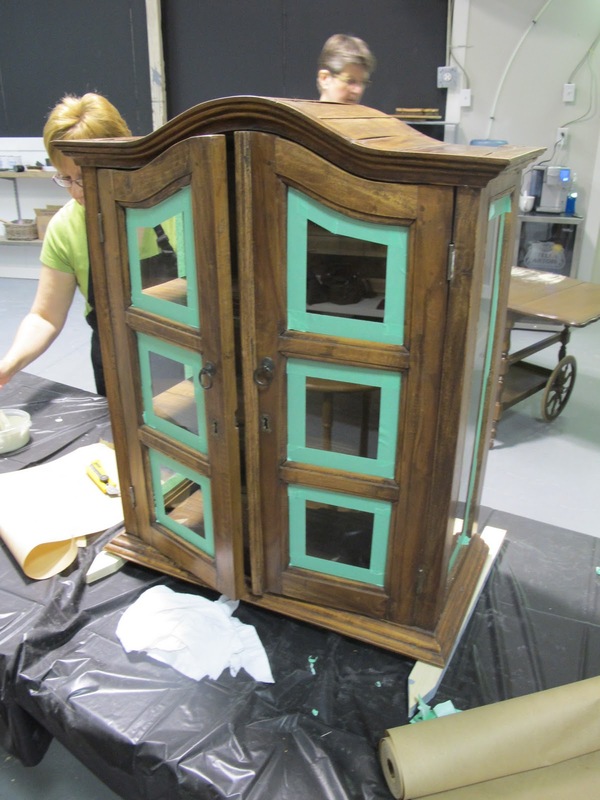 I’d love to share any of your refinishing projects with my readers! Wishing you all the best in your last weeks of pregnancy and a healthy baby! Oh this would be fabulous to win! I love the Paris Grey and have a piece this would be amazing on!! I follow Lauren Lane Decor on facebook! I love the color Emile and it would look fantastic when I start to make my little girls room into her big girl room. I need to start looking for some furniture pieces. Would go very nice in my new home. I LOVE painted furniture!!!! Fingers crossed. And I liked Lauren Lane on Facebook. What’s not to love about all of the colors?!?! They are all beautiful, if I were to choose I think it would have to be Paloma! I love the idea of repurposing old furniture and need to make a trip into Lauren Lane’s studio!! I agree with you Karen. There really isn’t a bad color in the bunch! I have found a few pieces at the second hand store in Okotoks that will look beautiful once they get a coat of paint on them. I have to run into Tara’s studio soon! Liked Lauren Lane on Facebook. I love duck egg blue and country grey. This site is amazing! I have an old china cabinet/hutch that I will be refinishing this summer; so glad I came across this site (through Angela Price-Thanks!) before I tackled the project! I liked Lauren Lane on Facebok as well. I have met Tara and she is just as fab in person. I have tried out a few colors of ASCP but my fave might be Provence (for now). Great giveaway! Would love to take a class! Provence is my fav colour… Im just waiting on the perfect dresser to come my way to redue. My favorite is Old Violet! Love lauren lane decor too! My current fav is old white. You can add it to any of the Annie Sloan colors… I have three pieces ready to be refinished so I could put this to use in a hurry! I love “French Linen”,Perfect for an old dresser I have awaiting to be transformed!. My fingers are crossed!! I also “liked” Lauren Lane on Facebook. I found you through the Lauren Lane blog. I have taker her first class, but would love to take another. My favorite colors are the paris grey and the pure white. I also like the Duck Egg Blue. I see you just started a blog. I hope you get as much enjoyment out of it as I do with mine! Thanks for stopping by! I just thought of another old desk I have that would look great painted “Emile”. Crossing my fingers and toes to be a winner. Her shop is totally brilliant…I agree, everything looks better with a coat of paint! (c: I’m not gonna lie that I’m pretty envious of her new career, that would be such a blast! And she’s adorable to boot! Girl crush. I want to paint my bathroom vanity the Aubusson Blue. The country grey is probably my favorite. I like lauren lane decor on facebook! I don’t have a twitter so I made my sister share it for me! Too funny and very clever! Tara at Lauren Lane Decor is amazing. She has painted a few pieces for me, including the server shown at the top of your page. I’ve also taken her classes and highly recommend them. She gives great instructions, has an excellent knowledge of the furniture painting do’s and don’ts, and has amazing patience!! My favourite colors are duck egg blue, cream and coco. My favourite is Old Ochre! So versatile! But all the colours are beautiful! I liked Lauren Lane Decor on Facebook! Olive is my favorite paint color. Id love to paint some of my furniture, just like it is demonstrated above! Difficult to choose just one but I’ll go with duck egg blue. Inspiring site.